This morning I woke up with my girls and asked (as I do every morning), “what do you want to do today?”, and (as they do every morning), they excitedly responded by saying, “PLAY!!!”. In the complex and constantly developing mind of a child, play is simple. It’s basic and requires minimal effort to ignite joy and fulfillment. Encouraging imagination isn’t complicated… with the use of tangible or intangible tools, PLAY is happening all the time in the mind of our kiddos and it becomes even more exciting, fulfilling and memorable when we also participate. Don’t get me wrong, I don’t “play” with my children every second of the day and they don’t want me to. They need to play with others and they definitely need to play alone. This is all part of their development. However, too many parents get carried away by it all and (at times) I am one of them. They structure the day so tightly that they forget that play has to happen naturally. I reflected back on a day last week. Someone asked what we did and I blankly said “nothing”. I felt a bit unproductive, like a bad and lazy mom, and slightly embarrassed that we didn’t do anything on a beautiful day. But wait!!! We did so much more than nothing. Danced and tumbled in the grass. We practiced somersaults and rolled down the hill, made angels in the grass and compared it to the snow that will come before we know it! We looked at the clouds while talking about the scratchy grass on our backs, and noticed the smell of summer in the air. Practiced whistling like the birds and counted the small planes departing from the local airport. Read. They listened to my words attentively and made visual connections with the shapes of the letters and the imagery in the book. They recognized when I skipped a word, pointed out the yellow hat on the man, and counted all the fruit that very hungry caterpillar ate. Pretended. We are at a fun stage. My girls love pretending. They acted out scenes from a favorite story, they made up their own story with an exciting “once upon a time” and a joyful “the end!”, they pretended to be the animals at the zoo, a doctor to their toys (fixing ‘owies’ and checking hearts) and they sweetly rocked and changed their babies like the little mommies they are. ^ This may seem like nothing, but to your child it’s exactly what they want and need! Parents!!! Enough with the pressure. You don’t need to go places all the time. You don’t need to be so busy. You don’t need to have the best and biggest toys. Play does not require a plan. It’s doesn’t require a location, a certain day, and it definitely doesn’t require a reason! Play happens every single second of the day for children and it’s important that we recognize this with encouragement and support. I am not doing “nothing” when all of the above is accomplished in one morning. We are busy bonding, building brains and making memories. With all of this in mind, I love going places with my children and I appreciate the importance of learning and exploring other places than home. But, what I’m also learning is to ignore the pressure and not feel so bad when we do stay home to PLAY. If you’re the type of person that needs to get out all the time, I commend you and I am sure you are making wonderful memories… but just know that when you stay home, you are still surrounded by many opportunities for your kids to PLAY, explore, learn and simply be happy. Some days it’s just too much to expend all my morning energy into packing a car for two kids, quickly dressing pokey children, eating on the run, and skipping naps. It’s just not always worth it. I encourage you, you reading this, you with the to-do list in your hand and the plan ready to be implemented. 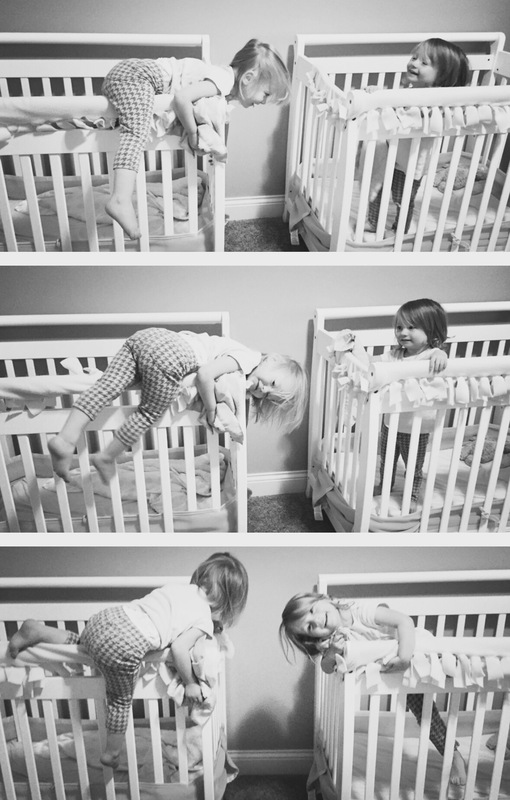 STOP for a moment and just let your littles PLAY at their own pace. One day, they will leave the house and you will beg for them to come home as much as they can. 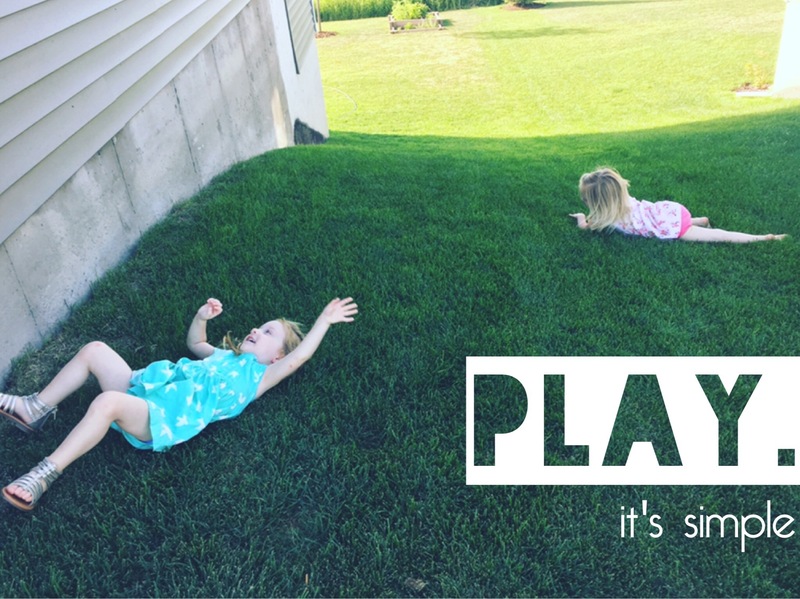 Enjoy these days, these simple days of PLAY while it lasts… and go roll in the grass with them! THAT is what PLAY is all about. Simple, beautiful, PLAY. :: when life gives you a lemon plant, have patience and watch those lemons grow! During pregnancy or preparing for baby and the first years that follow, parents turn into walking talking teaching machines (and many years after). Trying to avoid error in parenting, perhaps? Unfortunately, error is inevitable. What happened to my machine… that teaches “right” and “best”. How did I err and why does it not feel human? This is so easy to think and so easy to point the finger at yourself. “Going wrong” is just not the route I thought I took. From the start I did what I was suppose to do. Per the suggestion of some psychologist somewhere I remember reading children’s books out loud while my little girls developed inside me. Even before that I quickly had my hands on parenting books – making sure my husband and I were well prepared to raise smart, curious and wonderful little people. I didn’t allow myself to just be. I found myself referencing every “how-to” book and following steps like a puppet. When I let certain things work themselves out and I relied on my gut for answers – those were the moments we I learned so much more. To watch in awe as their little brains developed. Physiological and emotional growth cannot be fully controlled by anyone else, but that being. It’s a beautiful thing that we (parents) think we have so much control over. We have a little more control at the beginning and then we pray (really hard), that are teachings help them decide what is “right” and “best” as they go from scooting to running a marathon right before out eyes. While they are figuring it all out… they will ERR and it will be ok – especially if we are there to tell them that it’s all ok because they are HUMAN. >without request, unprompted<< children who say “I wub you mama”. who look you in the eyes and say “thank you”… and then “you’re welcome” – because that’s how they hear it ☺️. Who joyfully sing their ABCs and really everyother song you sing together. Who surprise you by counting past 10 one day (did I teach them that?) and curiously ask and tell me what color everything in the world is. They are determined to complete tasks on their own, gently pushing me away… This is new to me. I’m proud but a tiny bit sad that my babies have hit the ‘no mama, I can do it’ stage. They are particular when it comes to colors and specific when we choose books. Decisions are complicated but powerful. When they make one, their excited eyes delight with joy and confidence… “I will brush my own teeth, mama!” “No mama, I will read the book.” “I don’t need to hold your hand, mama.” “I can do it ALL by myself.” This confidence amazes me. They can’t be trusted to do all the above by themselves just yet, but I can’t get in the way of letting them err. We’ve all heard this and have probably said it before but, they need to fail before they succeed. The common conflict and result from failure is the fear to keep trying, the fear that failure may occur again. We can’t allow this fear in our children and at the same time, we can’t allow this fear in ourselves. We are HUMAN and we need to watch our little ones err, praise them for trying and encourage them to continue, while showing them that we also err and keep going. As a parent, the most difficult part for me is knowing that they can keep going through failure in all aspects of life. That they can forgive themselves and others who may fail. I will not always be there to offer a helping hand or a wise word when someone shames them for failing, when someone discourages them or denies them the ability to succeed. But I can give them the best tools to embrace err, positively respond to negativity, succeed in their own way and be happy and confident little people. Thank you Mr. Pope for shedding so much light on us humans – even before your fellow innovator, Mr. Edison, brought us an actual light. Now, I must get on with my day… embracing err along the way. A few months ago (right before the real cold set in), I went on a chilly walk with my two little ones. We strolled past a grassy den-like cove, that looked as though it could be a perfect spot for a bear to fluff her pillows and chill until spring. I discussed this scenario with my girls – how bears hibernate, taking long naps until “the snow starts to melt and pretty little flowers bloom!” I made it sound very desirable with subtle persuasive cues alluding to how wonderful sleeping is. …praying they would take a nice long nap when we got home. Then I had one of those moments, as we continued our walk in silence… One of those daydream moments. I imagined myself nestled in that cozy spot, laying on freshly fluffed pillows, getting a wonderfully long nap… Just like a mama bear (in my story, bears love fluffy pillows). I imagined someone graciously bringing my girls home to their beds while I snuggle up in that den and get lost in sleep. Unfortunately, I’ve been cursed with a terrible ability to nap – I’m not typical mama bear material… but the “daddy” bear I share my fluffy space with has a pretty comfortable relationship with hibernation ;). 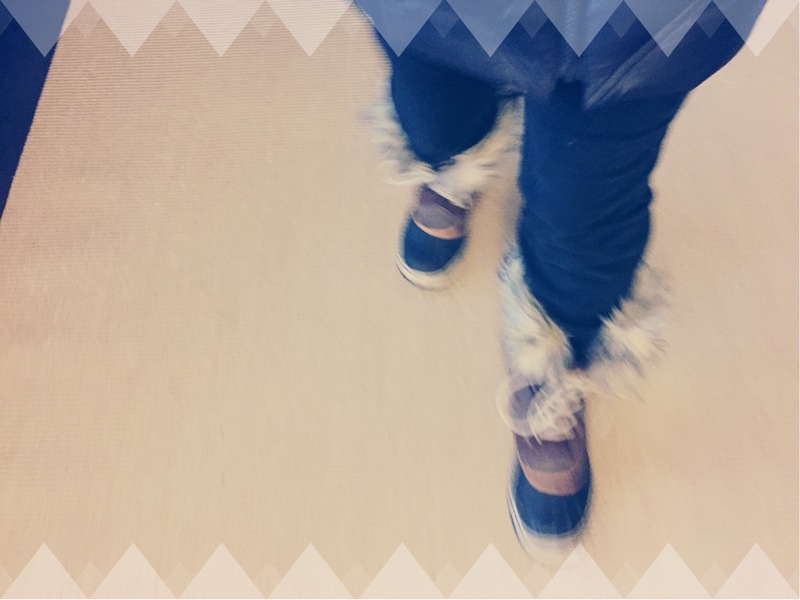 As a Minnesotan, I’ve proudly worn my puffy parka and big-ole-furry boots to the grocery store. I love when big pretty snowflakes fall from the sky, I can handle below zero weather and dark winter mornings haven’t kept me from being a morning person. – – – But as a mama in Minnesota, I now have my puffy parka pockets full of Kleenex, bandaids, disney chapstick, extra tiny gloves, crumbs of some sort, something sticky or just plain unknown… My big-ole furry boots once looked cute when I wore my sassy skinny jeans but now they stare up at me partially covered by my yoga pants and yell “get a hold of yourself! What is happening here?!”. Oh, and mornings… I’m still (what some might consider) a morning person. However, sluggishly rolling out of bed has become a more common introduction to the day. We push ourselves out the door like a roll of Pillsbury dough… you know the ones that “POP” open when you peel them and hit the container against the counter (release of aggression, EH?). Well, I’m not aggressive… and I’m not Canadian but their is a small sense of fulfillment when that tube pops open. Where in the world am I going with this? This is exactly how we get out of the house. After all of the getting un-dressed/dressed/brushing teeth/throwing little tantrums/trying to look like tame sweet bears… once we “POP” out of our cozy den of a home, their is a huge sense of fulfillment + accomplishment. Really? Yes, with two toddlers who love playing in diapers and have a strong sense of determination when it comes to dressing themselves – inside out . upside down . slowly but surely – getting out of the house feels like I completed a marathon some days, and I only have two! Motherhood is tiring. Just ask any mama bear… Go ahead, she’ll tell you exactly why she naps for so long. Because she NEEDS it! Or she’ll growl and claw at you, due lack of sleep and frequent interruption of the hibernation she’s seeking. …some growls and sharp claws may have come out a few times……..maybe. Unfortunately, us mamas don’t get to nap like real mama bears, but we definitely deserve a break and time to ourselves. We need a little R&R, we need to slow down, take deeper breathes, fluff those pillows and chill until spring. Winter can really drag a mom down and wear her out – especially after months of being continuous toddler entertainment, while (mostly) indoors. …or minutes. (very easy to get those two confused). I’ll let daddy bear take over. .:22:. >>2016<< a new year | a new version | no need for resolution. –>> a H A P P Y new year. ball drops | clean slate | the year is NEW and so are you! The year of chalk art, glitter + selfies has ended… Ha. Just kidding! I’m pretty sure all of the above will just become more 2016ish. I’m not saying I can’t or won’t start something new, I’m not saying I won’t make or accomplish goals and I’m not faulting those who do make huge changes. To be honest… my belief is that a change of a date and the transition of a new year shouldn’t be what ignites significant change. BUT, our society says it should and well… it works for many people. On the flip side, a new year can leave some people dissapointed, ashamed, doubtful, and unhappy that they couldn’t follow through… that they couldn’t make a real change… that they didn’t see purpose for anything new in their life. Sadly, this view is reality for more people than you might imagine. So, my plan is to make it simple by taking a general+neutral route and be OK with what will happen this year and what will not happen. I still have goals but the result of accomplishing those goals is not fully dependent on a single date (for me). In 2016 : Unpredictable, exciting, and sometimes planful events will define the 2016 version of myself and (honestly), my goal this year is… to be OK with however that may happen. Much of what I’m saying, or trying to explain has almost everything to do with the mini juveniles I’ve happily shared a roof with for the past two years. These two (lady bugs and jumping beans) have truly molded me into the person I am right now. Just as they do with their play dough – today I stand tall like a lime green tree and tomorrow I may be a colorful blob on the floor. As a mom of two toddlers, my goals/my plans/my life in general is wholehartedly unpredictable now. Ok, we still make “plans” per say but I’ve learned to roll with the punches more than I ever imagined. 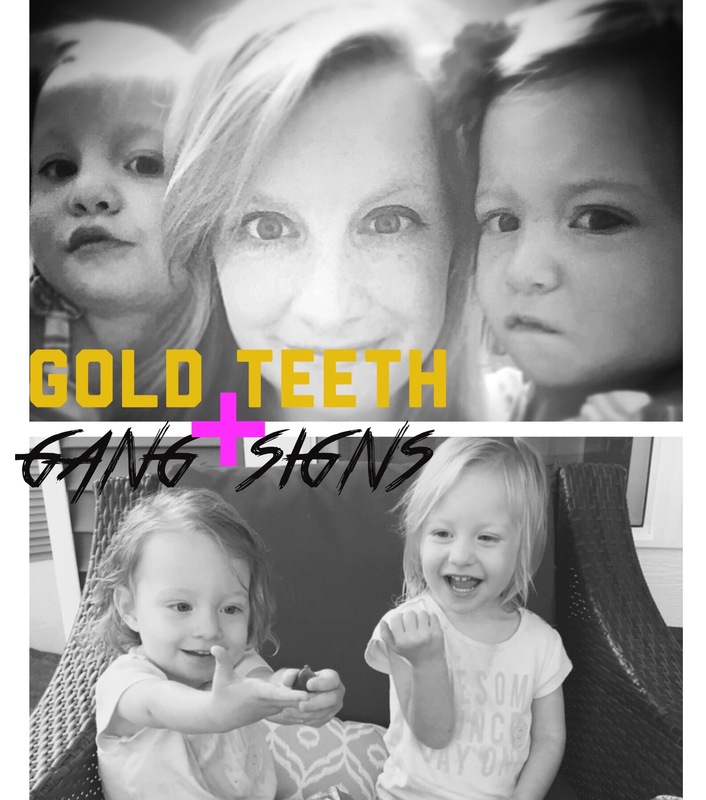 My past “go go go” way of living hasn’t fully left me, but I am noticing the need to slow down – especially for my two peanuts whose little leggies can’t keep up with mine all the time. Now, I’m learning to stop more often and rest with my girls – even when we should be moving and getting things done. I’m taking more moments to really look my children in the eyes when we talk and truly see them learning, understanding and discovering something new! Prior to children, I had big goals – I made resolutions – and at the end of the year I found myself with mixed feelings… content with the achievement of certain attainable goals as well as disappointed for not reaching goals that I said I would reach. I don’t want my children to see this side of a new year. I don’t want them to think that a date really has the power to make them someone else, give them the ability to be superwomen at the “drop of a ball”, let them make unnecessary changes – just to make a change, I want them to be happy with how life unfolds. I want them to know that they can be superwomen without huge changes, even without telling the world about it… and that’s OK.
…I made some pretty great lists and well, I am OK with that. …I accomplished x y z and well, I am OK with that too. 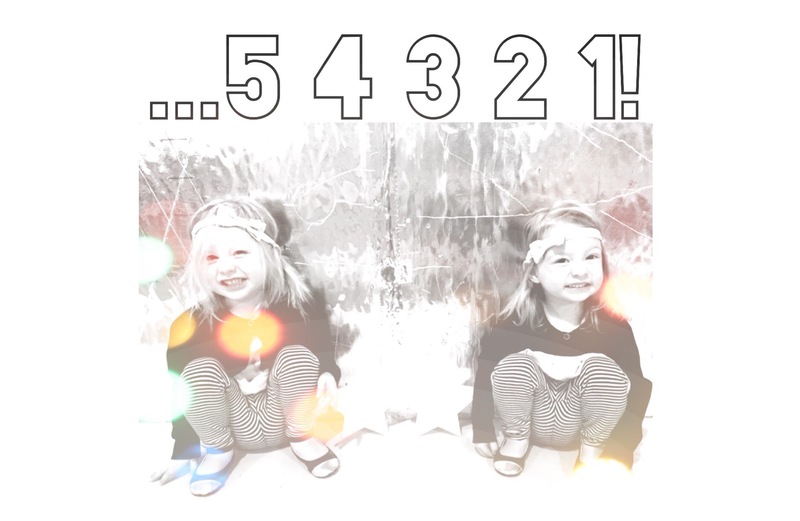 …I watched my two little people grow, learn and explore a world filled with crazy expectations and well – – – we will all be ok! Their is something to say about looking back onto a year and simply being content with all that it had to offer and in many ways surprised by unexpected successes! Almost 3 months ago we celebrated 2nd Birthdays! I love planning these little get togethers, and going a little overboard for our little ones that still know very little about the world. Although, it was fun planning and joking that… if Pinterest didn’t exist we would all just be staring at each other and wondering: what the theme was, where the mason jars and chevron patterned napkins were hiding and why I didn’t build a life size wooden ark out of old pallets (throat clear) – our theme was Noah’s Ark Two by Two… and no, I did not build an Ark. With two little ones (especially twins), I’ve been given more advice than I ever signed up for. 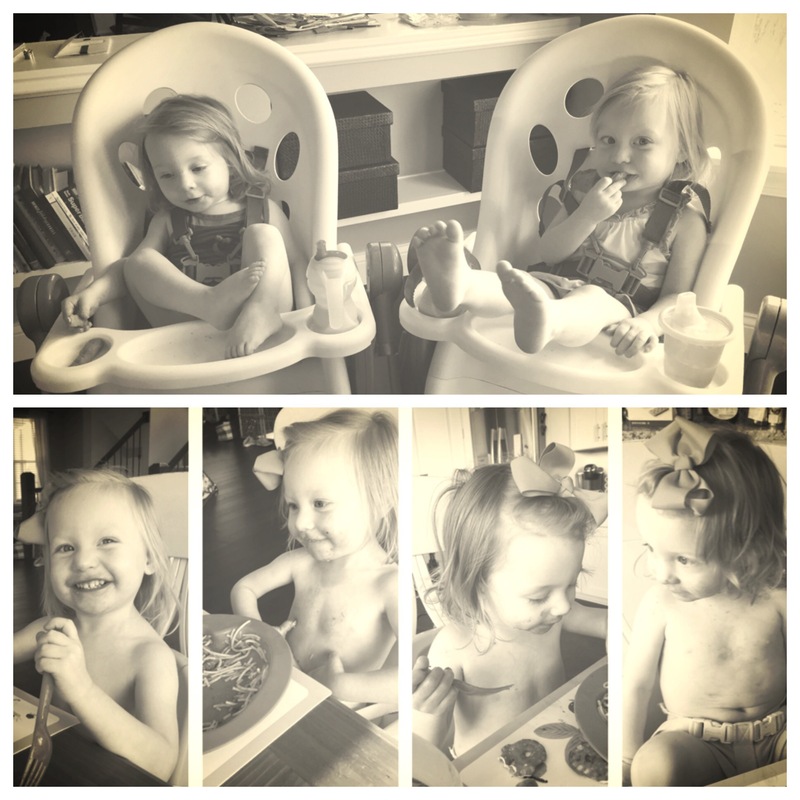 Recent advice has revolved around this infamous stage ~ the “terrible twos”. I’m told it actually begins at age three. Which, by the way, is not something a mom of twins wants to hear. Ok, let’s be real… nobody wants to hear that, especially while already lacking sleep and trying to “shhhhhush” a screamer or two in the middle of the grocery store. I’ve been told that it’s going to be “so hard with twins” (while getting a quick pat on the back followed by a semi-serious thumbs-up and a dash to get away as if I had a terrible virus). I’ve also heard that it’s really a “trying time”, a true “test of parenthood”… a struggle, a challenge and the list of partially negative descriptions goes on. WELP, we’re “on”. We’re live, the doors have been kicked open (and kicked and kicked, and pushed and kicked) and there is no turning back. You know back to those warm cuddly baby days – when they just cooed and stared deeply into your eyes until they fell asleep. Or those days when I could tell you exactly when I was going to get a break because naps were predictable. 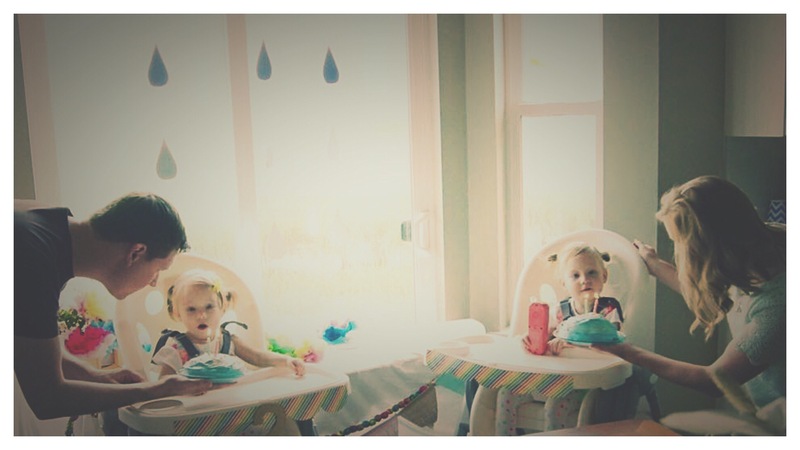 Oh wait, even those days when I could eat a meal without two sets of hands playing with my food – because when you’re two, you’re way too good for highchairs (at least that’s what our girls have decided). 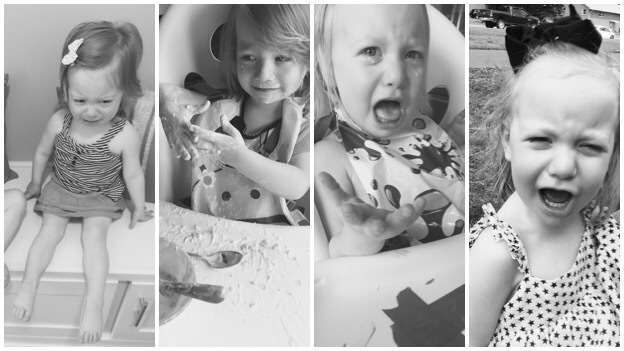 goodbye high chairs > bibs + shirts are optional. Here’s the catch – they are growing and developing like any other human and it’s not suppose to be easy. But it sure puts a cramp in my ‘chill’ style. Yes, as a mom I feel fairly ‘chill’ on occasion. I have days that I think, I finally got this and everything is “kinda-sorta” under control. I’m not trying to make any moms feel bad, because I know not everyone feels this way. I will tell you that this feeling or moment has been short lived lately, but it still gives me a nice little boost. Now, (more often) I am exhausted and trying to keep up with the pace at which my little ones are changing. I’m not sure how to exactly explain this but if you add some bad hair and bags under the beady/perky eyes of the “one eye shut/tongue sticking out emoji” >>> that’s me to a “T”! My two 2-year olds have successfully figured out how to make me look like the crazy emoji. >> 😜 << like that, just like that! The SUMMER OF 15 has been quite the intro to this new stage of life. 1. Language development and communication have blown my mind and 2. the emotional side of (probably) raising girls has slapped us in the face and definitely 3. strength and confidence have decided to be BFFs, but they rarely agree with each other. :1.Language: It’s fascinating to watch my own children learn how to communicate, try to understand and listen to them repeat every word they hear. Oh, I’ll back up <<<< EVERY word they hear. We don’t (really) have potty mouths, but I’ll just let you imagine (anything anyone says, wherever we may be… they say and then they repeat it 10 times – – – or 30 times). I can understand most of what they say, but when I don’t… it’s A. just a cute, fun little guessing game or B. a sad and angry little face that says “you’re MY mom, you should know what I’m saying”… I’ll admit, they’re doing a great job with clarity and pronunciation but when we don’t understand what they’re trying to tell us, it’s as if we’re the alien on their planet and if we can’t translate within the next milisecond we’ll be sent back to a horrific planet (probably filled with DINKS basking in the sun – – oh, I remember those days). BUT, at the end of summer I was proud to hear my little ones count to ten, recite their “ABCs”, politely ask for things using the highly desirable “please” and “thank you” and actually have a conversation (“kinda-sorta”). Tantrums and crocodile tears will appear with no warning… over lack of song singing, too much singing, being too clean or too dirty, broken crackers, lack of sharing, the natural and competitive nature of twins who enjoy copying each other but also want to be the one that did it first. This whole “copying each other” is pretty cute… While CUTE, it’s also deceiving. I have a couple dramatic princesses. Many times I have thought about counting the frequency of “whiny moments” and then I realize these moments are sometimes too hard to separate. I’m sure this is probably the thought running through their heads, on repeat… “It is so hard to be a child, a child living in a safe home with fun toys, healthy food and happy parents who love me.” But really – what is with the whining? It is the current soundtrack of my life and I’m not sure if this is wise for me to admit, but I’m starting to dance to it – – because it’s the only way I can remain sane (along with a glass of wine). I think… if I’m dancing to their cries+screams (after trying every way I know to solve the problem) then they’ll eventually calm down and dance with me! Better than getting angry, because… I’ve also been told that this stage will really “challenge your emotions as a parent”. I’m not saying I’ve never been angry or exposed my frustration to my little life learners but I try to remind myself that this is going to be a very very distant memory someday (sadly) and when I can look on the bright side and tune out the craziness, life is so much better!!! Ok, so I wasn’t there when this decision was made and handshakes were exchanged between these two valuable traits… traits that I’m proud my two year olds uphold, but need a little lesson on managing them as a unit. At times my children (like most) believe they are invincible and indestructible, climbing anything, diving into and off of everything… I love watching my girls explore and really use their imagination but we have yet to learn about fear and danger. However, I do have one fairly cautious gal (Hannah) and one who takes the lead (in many cases) and attempts “the impossible!”. As stated above… one thing about having two is that they do “copy each other”. So, cautious Hannah will watch and observe the accomplished or failed feat of her brave sis, Lainy, and then make a decision based on the results. Sounds like a simple and smart move. Then, she just goes for it in her own invincible way… because why would she miss out on that opportunity?! Luckily, cool bandaids and kissing ‘owies’ have been a pretty good cure so far. However, I’d like to have a word with our pals, Strength + Confidence and say… “first of all, thank you for befriending my children but can you please play well together, be patient with each other and don’t over do it? !” All I want is a little more balance in this area. HA! Toddler life doesn’t have much (if any) room for balance. 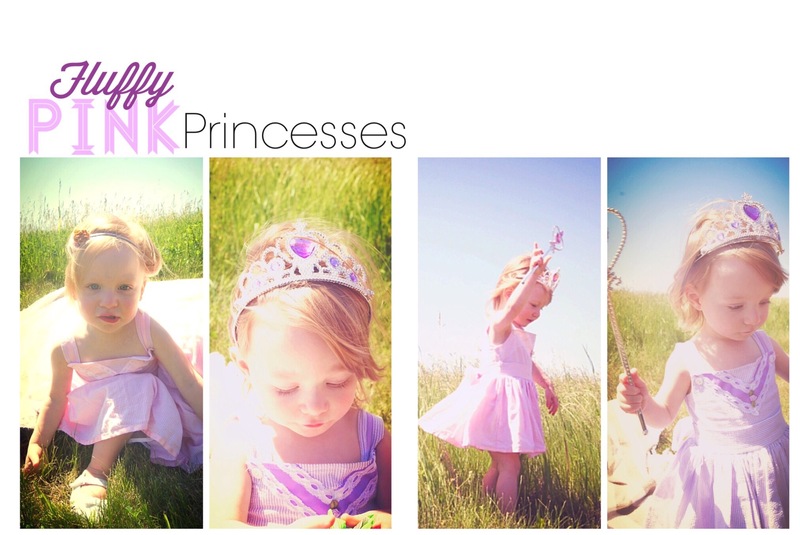 >>As we welcome fall, I reflect back onto this new stage we’ve entered and I’m in awe at how our babies have turned into walking talking (sometimes sassy) people, right before our eyes and ears, and in such a short time! We lost a little more sleep in these past few months, we’ve been challenged with the (expected) language barrier, we’re working on maintaining our sanity through unpredictable emotions, we’ve started potty training (kinda-sorta) and watched our two monkeys tackle strength and confidence while learning how to climb in and out of their cribs and release themselves into the world with little warning. We learned that car rides longer than an hour can quickly increase our heart rate and make earmuffs very desirable, even in the summer (our 6+ hour road trip this summer was a joy 😜). ~~~>(sending good vibes to all who will be cooped up with toddlers this winter). To all parents ready to enter this stage or already in this stage… hang in their, hold on tight and know that their is a bright light at the end of the tunnel. Eventhough it’s hard to see at times, this is a fascinating period of growth and development. Embrace it as much as you can… especially before the chains and gang signs come out! you can never take enough pictures!